As the population ages, the buying influence of different generations changes. Baby boomers, those born in the post-WWII baby boom, are still the largest generation at about 74 million. Next in line is Generation X at about 66 million. The most-talked about generation from a consumer demographics perspective is the Millennials, coming in at about 72 million. And don’t forget about those 86 million Gen Zs who are coming of age right now. That sounds like a lot of people, and it is, but keep this in mind as well – the overall rate of population growth is declining and is expected to continue to do so. Fewer people means fewer customers in the long run. Family dynamics are also changing. Families with two working parents are the most common family unit, followed by single parent families. This consumer demographic may seem a little boring, but it gets more interesting as you dig deeper. Research also shows that about one in five Americans live in a multi-generational household and one in ten children lives with a grandparent. With birth rates in decline and pet ownership increasing, households with dogs outnumber those with children by about 10 million. Consumer demographics are predictably split by gender, but that half-and-half rule does not apply to purchasing power. Spending research suggests women influence over 80% of consumer spending in the U.S.
Consumer spending is up, and about 25 percent of American spending is on non-durable goods. According to Pew Research, the middle class is stable but financial gains for middle-income Americans are modest. 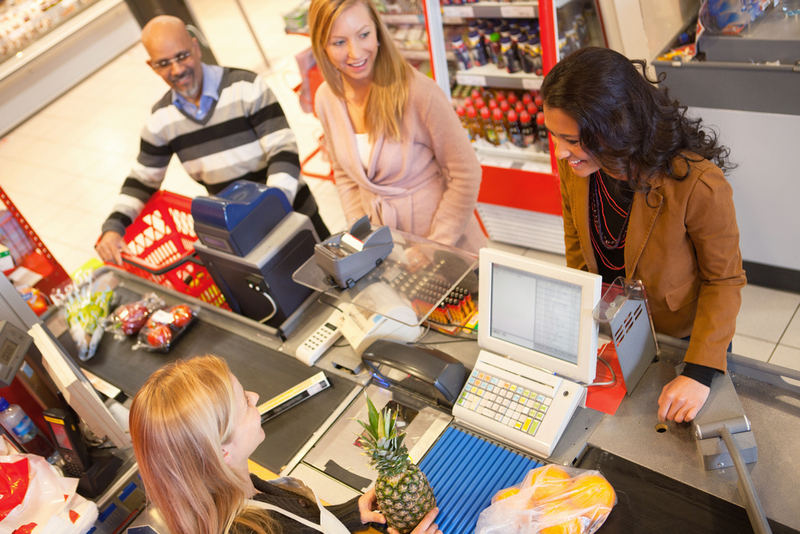 What Do Consumer Demographics Mean for Convenience Stores? As a convenience store owner, you will view general demographic information differently than a clothing retailer or an online store. Trends in national consumer demographics are important, but what you see happening in your own town and neighborhood will have the most impact on your marketing decisions. Knowing your customers goes far beyond what you read about consumer demographics. It means understanding what customers expect from you and your staff and what they want from the companies they do business with. The more your staff understands your customers, the better they’ll be able to serve them. Click here to learn about convenience store customer service training.